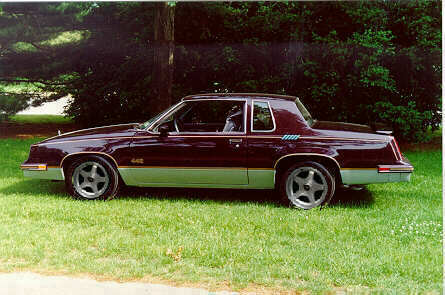 This is Bill Gouchenour's 442 with wheels from John McJunkin's Cutlass. This is the same car with Impala SS rims. These rims are just fictitious, they are not off another car, they are off another digitally edited photo. Same deal with these rims.